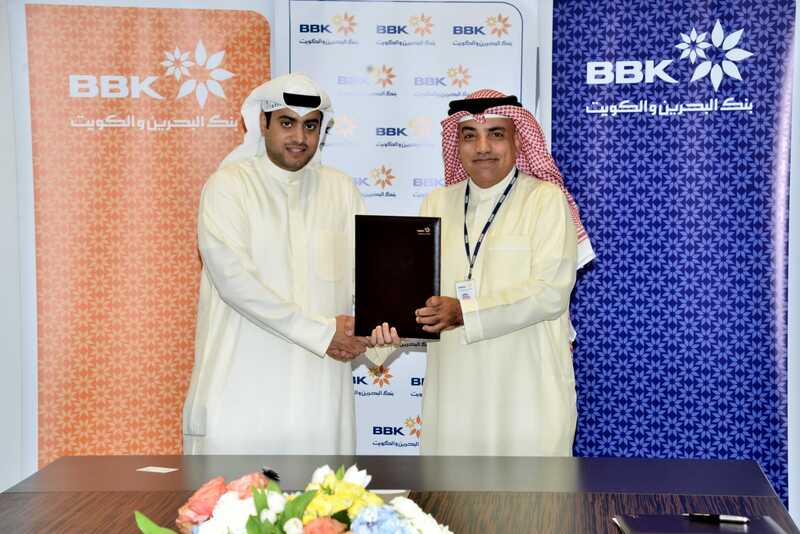 BBK, Bahrain’s pioneer in retail and commercial banking announced today the establishment of a strategic partnership agreement with Al-Yal Real Estate through which BBK will provide mortgage financing to the purchasers of apartments in the Catamaran project. Al-Yal Real Estate has established its place as a residential and commercial developer in Bahrain since 2008 which aims to generate innovative residential and investment opportunities within the local real estate market. Under the terms of the agreement, customers of the Catamaran project who require funding in the form of mortgage loans will be advised to consider BBK being the end user funding partner..
Mr. Hamad Al-Sadoun from Al Yal Real Estate’s Assistant General Manager and Dr. Adel Salem Head of the Retail Banking Division at BBK. Announcing the strategic partnership, Dr. Adel Salem, Head of the Retail Banking Division said: “In our continuous efforts to provide our customers with the best services and value offerings, we are pleased to enter into a strategic partnership with Al-Yal Real Estate, a reputable real estate company that has been offering innovative residential solutions which our customers can benefit from. This collaboration will allow customers from all nationalities residing in the GCC who wish to own a property in the Catamaran project to enjoy excellent interest rates and loan terms from BBK. Mr. Hamad Al-Sadoun, Al Yal Real Estate’s Assistant General Manager said: “This partnership is a positive step towards upholding real estate projects in Bahrain, and we are delighted to initiate this partnership with BBK. This collaboration will create a convenient funding process for our customers to obtain the financing for their property, and we look forward to further collaborations on with BBK in the future. Customers who are interested to own a residential property in the Catamaran project are welcome to apply for a mortgage loan from BBK.